NEW YORK, May 18, 2018 /PRNewswire/ -- RITUALS, a unique luxury lifestyle brand, expands its passion to transform everyday routines into more meaningful rituals with the opening of its first west coast store, at Westfield UTC in San Diego, CA, on Friday, May 18. With boutiques all over New York, the opening marks the twelfth in the US, and the first door in California. Inspired by the wisdom and ancient traditions of Eastern cultures, RITUALS' product offerings range from body care to home fragrances, encouraging consumers to practice mindfulness and find joy in the smallest of things, like turning your shower into a moment of micro-meditation. "Our west coast expansion is a very meaningful moment in our brand narrative. The community here on the west coast adopted the wellness philosophy very early on, and we have loyalists here who have been eagerly asking us to bring the RITUALS 'slow down' movement here, to California," said Marjolein Westerbeek, President, RITUALS USA. "We feel very welcomed already and are thrilled to be connecting our brand footprint with an ever expanding audience." Signature RITUALS collections include The Ritual of Sakura (a reminder to celebrate each day as a new beginning centered on the flowering of the cherry blossoms in Japan), The Ritual of Happy Buddha (an uplifting collection that inspires positivity, taking a cue from the Laughing Buddha of ancient Chinese history), The Ritual of Ayurveda (inspired by the Indian wisdom of Ayurveda which supports the principle of cleansing and balancing energies), The Ritual of Dao (based on the Chinese philosophy of nourishing your Yin energy), The Ritual of Namaste (new: advanced, natural skincare) and The Ritual of Banyu (a new limited edition line inspired by an ancient Balinese ceremony which honors the powerful healing properties of water). "We are excited to welcome RITUALS to our impressive line-up of first-to-market retailers," said Ryan Perry, general manager of Westfield UTC. "The brand is bringing mindful relaxation to La Jolla residents and aligns well with Westfield UTC's resort-inspired transformation." Throughout the opening month of May, the RITUALS store at Westfield UTC will offer consumers opportunities to slowdown, including: in-store promotions, giveaways, activities and consultations. Can't get there early? Receive a $50 value gift bag with any in-store purchase all day! *In-store exclusive offer. Only valid Friday, May 18, 2018 at Westfield UTC, while supplies last. 30 Minute LIVE to headphone concert featuring Mind Travel pianist Murray Hidary. RITUALS is the first brand in the world to combine home and body cosmetics. With an expansive product line including body care, scented candles, fragrance sticks, assorted teas, skin care, precious mineral make-up, and Soulwear, the brand transforms everyday routines into more meaningful moments. Each product, over 400 in total, is inspired by an ancient Eastern tradition. In 2000, RITUALS opened its first store on Amsterdam's Kalverstraat, followed by openings in such vibrant cities as London, Madrid, Antwerp, Paris, Lisbon, Berlin, Stockholm and New York. The luxury brand has almost 600 stores, more than 1500 shop-in-shops and 4 city spas in 27 countries worldwide. 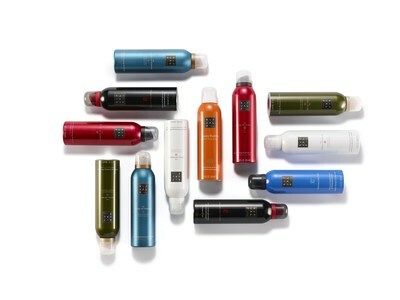 For more information, visit rituals.com / @ritualsusa. An outdoor retail resort unlike any other in San Diego, Westfield UTC combines beautifully landscaped outdoor plazas and gardens, on-trend fashion, chef-led restaurants, multifaceted health and wellness amenities ? as well as special, unexpected touches inspired by the best of the La Jolla lifestyle. In October 2017, Westfield UTC unveiled a brand-new, two-level Nordstrom as part of a $600 million makeover ? with new, recent and upcoming shop openings also including RITUALS, Vineyard Vines, Marine Layer, Rodd & Gunn, UNTUCKit, SuitSupply, Kendra Scott, Jo Malone London, Allen Edmonds, Arhaus and Saje Natural Wellness. Delicious outdoor dining is also now taking center stage at Westfield UTC with new restaurants including The Winery Restaurant & Wine Bar, Larsen's Steakhouse, Shake Shack, Smokeyard BBQ and Chop Shop, True Food Kitchen and Napizza. Uniquely, the center is now home to state-of-the-art office space ? and by 2019 ? the property will even include an upscale 23-story residential tower encompassing 300 modern homes. In the future, Westfield UTC will also integrate a new regional transit center and San Diego trolley line station. For more information, visit www.westfield.com/utc.